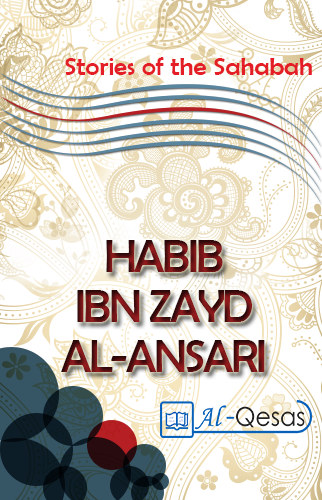 THE COMPANION: Habib Ibn Zaid RA - The Awesome Youth of Al Ansari. Habib Ibn Zaid RA - The Awesome Youth of Al Ansari. Habib ibn Zaid RA grew up in a home filled with the fragrance of iman, and in a family where everyone was imbued with the spirit of sacrifice. Habib’s father, Zaid ibn Asim RA, was one of the first persons in Madinah to accept Islam and his mother, the celebrated Nusaibah bint Ka’ab RA known as Umm Ammarah, was the first woman to bear arms in defense of Islam and in support of the blessed Prophet. Habib ibn Zaid RA, still at a tender age, was privileged to go with his mother, father, maternal aunt and brother to Makkah with the pioneering group of seventy-five who pledged fealty to Rasulullah SAW at Aqabah in Mina and played a decisive role in shaping the early history of Islam. At Aqabah, in the darkness of the night, the young Habib ibn Zaid RA stretched out his small hand and pledged loyalty to Rasulullah SAW. From that day, Rasulullah SAW became dearer to Habib ibn Zaid RA than his own mother or father and Islam became more important to him than any care for his personal safety. Habib ibn Zaid RA did not participate in the Battle of Badr because he was too young. Neither did Habib ibn Zaid RA have the opportunity to take part in the battle of Uhud because he was still considered too young to bear arms. Thereafter, however, Habib ibn Zaid RA took part in all the engagements which Rasulullah SAW fought and in all Habib ibn Zaid RA distinguished himself by his bravery and willingness to sacrifice. Although each of these battles had its own importance and was demanding in its own way, they served to prepare Habib ibn Zaid RA for what was to prove the most terrible encounter of his life, the violence of which is profoundly soul-shaking. Let us follow this awesome story from the beginning. By the ninth year after the Hijrah, Islam had spread widely and had become the dominant force in the Arabian Peninsula. Delegations of tribes from all over the land converged on Makkah to meet Rasulullah SAW and announce before him, their acceptance of Islam. Habib RA is the son of Zaid Ibn Asim RA and his mother the well-known lioness of Uhud Nusaibah bint Ka’ab RA. His father, Zaid ibn Asim RA, was one of the first in Madinah to accept Islam and his mother, Nusaibah bint Ka’ab RA (Umm Ammarah) was the first woman to fight in defense of Islam. Habib ibn Zaid RA accompanied his parents, aunt and brother to Makkah with the group of 75 people who pledged loyalty to Rasulullah SAW at Aqabah. Habib ibn Zaid RA did not participate in the battle of Badr or the battle of Uhud because he was considered too young to bear arms. Thereafter, however, he took part in all the engagements which Rasulullah SAW fought, distinguishing himself by his bravery. In the Second Pledge of A'Aqabah which has been mentioned many times, 70 men and two women of Al-Madinah gave their allegiance to the Prophet (PBUH). Among those blessed men and women were Habib ibn Zaid RA and his father Zaid ibn Asim RA. His mother was Nusaibah bint Ka'ab RA, one of the two women who were the first to give allegiance to Rasulullah SAW. The second woman was his maternal aunt. 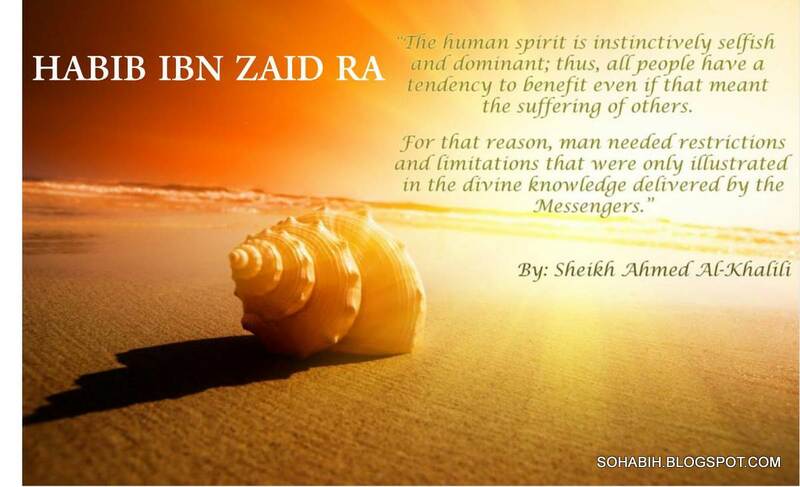 Thus, Zaid ibn Asim RA was a veteran believer in whose backbone and ribs faith ran rather than blood. Zaid ibn Asim RA lived near Rasulullah SAW after he emigrated to Al-Madinah. There, he never missed an expedition in the cause of Allah SWT or lagged behind. One day the south of the Arab Peninsula witnessed the emergence of two presumptuous and arrogant liars who claimed Prophethood and tried to drag people into the swamp of sin and disbelief. One of these impostors was called Al-Aswad Ibn Ka'b Al ‘Aansiy, from Sana’a'. The other was Musailamah the Liar from Al-Yamamah. Both impostors incited people against the believers in their tribes who responded to what Allah ordained and who believed in His Prophet. They also goaded them against the Rasulullah's messengers whom he sent to their lands. Moreover, they even went so far as to ignite suspicion against Prophethood itself and committed hideous mischief in the land, causing corruption and disbelief. 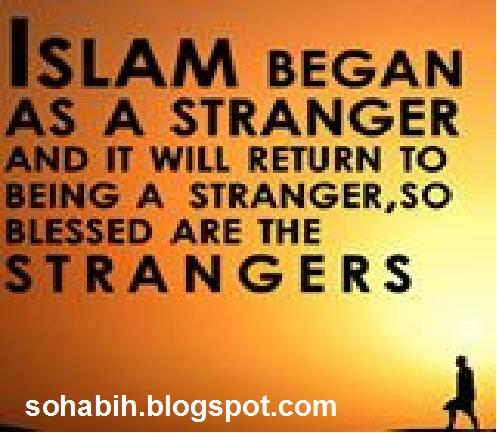 One day, Rasulullah SAW was surprised when a messenger arrived with a message from Musailamah in which he said, "From Musailamah Allah's Prophet to Muhammad Allah's Prophet. We are your partner in Prophethood; consequently, we have half of the earth and the Quraish has the other half, but the Quraish want unjustly to have it all!" "I testify that Muhammad is indeed truthful and that Musailamah is indeed an imposter. But the impostor of Rabiah (the tribal confederation to which the Banu Hanilab belonged) is dearer to me that the genuine and truthful person from Mudar (the tribal confederation to which the Quraish belonged)." "From Musailamah, the messenger of God to Muhammad, the messenger of God. Peace be on you. I am prepared to share this mission with you. I shall have (control over) half the land and you shall have the other half. But the Quraish are an aggressive people." 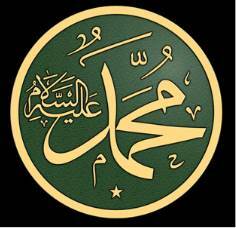 Muhammad the Prophet of Allah. Peace be upon those who followed the right path. Verily, the earth is Allah's. He gives it as a heritage to whom He will of His slaves and the blessed end is for the pious and righteous persons who fear Allah." 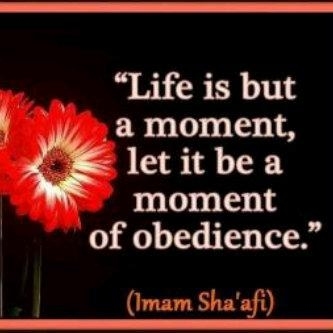 Rasulullah’s words were direct and crystal clear. They exposed the liar of the Bani Hanilab who thought that Prophethood was a kingdom, so he demanded his piece of the cake, namely, half the earth and its people. The messenger carried the Rasulullah's answer to Musailamah, yet it only made him more mischievous and corrupt. 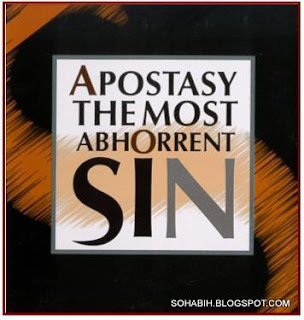 He went on spreading his falsehood and slander and went on abusing the believers and instigating people against them. Rasulullah SAW thought it best to give him one last chance, so he sent a message to convince him not to commit any more of his folly. He picked Habib Ibn Zaid RA as his messenger. Habib ibn Zaid RA hastened enthusiastically with the glorious mission Rasulullah SAW had entrusted him with. He hoped that Musailamah heart would be guided to the right path and that he would be rewarded endlessly in the Hereafter. The traveler reached his destination. Musailamah the Liar read the Rasulullah's message, but he was blinded by its light, which only made him more aberrant and arrogant. It was as though this noble religion Islam wanted to give humanity a new lesson of greatness and heroism. Only this time, both its subject matter and its tutor were one and the same person, Habib Ibn Zaid RA. Musailamah the Liar called upon people to witness one of his so-called memorable days. The messenger of Rasulullah SAW, Habib ibn Zaid RA, was brought in. It was clear from his wounds and bruises that he had been abused and tortured severely by those criminals. They thought that they could strip him of his valor so that he might appear in a state of complete humiliation and defeat before the crowd. They hoped that he would then give Musailamah the credibility he craved when he called upon him to witness to his fake prophet hood before the crowd. Thus, the notorious liar would be able to make a fake miracle that would cement his prestige among those whom he deluded. Therefore, Musailamah asked Habib ibn Zaid RA, "Do you bear witness that Muhammad is, indeed, the Messenger of Allah?" 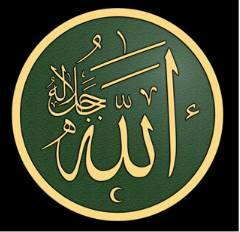 Habib ibn Zaid RA answered boldly, "Yes, I do bear witness that Muhammad is, indeed, the Messenger of Allah." Musailamah face went white with humiliation and embarrassment yet he asked, "Do you bear witness that I am the Messenger of Allah?" Habib ibn Zaid RA scornfully replied, "Nonsense!" "And do you testify that I am the Messenger of God?" To which Habib replied "My ears have been blocked against hearing what you claim." Musailamah then ordered his executioner to sever one of Habib ibn Zaid RA limbs. He then questioned him again and Habib's answers were the same. Musailamah thereupon ordered his henchman to cut off another part of Habib ibn Zaid RA body, which fell to the ground beside the other severed limb. Faced with Musailamah persistent questioning and the blows of his henchman, Habib ibn Zaid RA kept on repeating: "I testify that Muhammad is the Messenger of God." Habib ibn Zaid RA could not survive this torture much longer and he soon died. News of Habib's death reached his mother who said: "It was for such a situation that I prepared him... Habib ibn Zaid RA pledged allegiance to [Rasulullah SAW] on the night of Aqabah as a small child and today as an adult he has given his life for [Rasulullah SAW]. If Allah SWT were to allow me to get near to Musailamah, I would certainly make his daughters smite their cheeks and lament over him." The impostor Musailamah humiliated face darkened with spiteful madness. His scheme had failed. His torture of Habib ibn Zaid RA had been futile. He was slapped so fiercely before the crowd which he himself had gathered to witness his so-called miracle. This slap was so strong that it shattered his assumed dignity once and for all. He became as violent as a wounded bull as he summoned his executioner, who rushed and stabbed Habib ibn Zaid RA body with his sword. He slew him, cutting his body into small pieces, one by one Habib ibn Zaid RA made no sound besides chanting stoically, "There is no god but Allah and Muhammad is His Messenger." It was as though he wanted to celebrate his Islam until the very last moment of his life. Now, if Habib ibn Zaid RA, on that day, had tried to escape this horrible death by a pretense of his faith in Musailamah prophet hood, his faith would not have been questioned, doubted or blemished in any way. But he was a man who had witnessed the Second Pledge of Al-'Aqabah along with his father, mother, brother, and aunt, and ever since those decisive blessed moments he had carried upon his shoulders the responsibility that ensued his oath and faith to the fullest. Habib ibn Zaid RA could not for a moment hold his life and principles as separable. 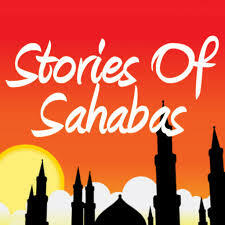 Therefore, Habib ibn Zaid RA found a rare opportunity to win his life once and for all. His life was an embodiment of his faith. It embodied his stead-fastness, greatness, heroism, sacrifice, and martyrdom for the sake of Right and Truth, the splendor of which surpassed all victories. Rasulullah SAW received the sad news of Habib ibn Zaid RA martyrdom with patience, for Allah's inspiration made him see the future fate of Musailamah. He could almost see his death with his own eyes. As for Nusaibah bint Ka'b, Habib ibn Zaid RA mother, she gnashed her teeth for a long while on hearing the terrible deed, then she swore a solemn oath to avenge her son's death upon Musailamah and to thrust her sword and spear right into his wicked body. It seemed that fate watched her anguish, patience, and courage on receiving this news and showed great admiration and sympathy for her calamity and decided all at once to stand by her until she fulfilled her oath. After a short while, the Battle of Al-Yamamah took place. Abu Bakr As-Siddiq RA organized an army to march to Al Yamamah where Musailamah had already organized a huge army. Nusaibah bint Ka’ab RA marched along with the Muslim army and threw herself into the battlefield armed with a sword in her right hand and a spear in her left one. She kept on shouting, "Where are you Musailamah, you enemy of Allah?" When Musailamah was killed and his followers were like carded wool, the standards of Islam fluttered victoriously and proudly. Nusaibah strong and brave body was strained with spear wounds. She stood there recalling the amiable face of her beloved son that seemed to linger about the place. Wherever she looked, she saw the face of her son Habib ibn Zaid RA. It was somewhere out there smiling contentedly on every victorious fluttering flag. The day Nusaibah bint Ka’ab RA wished for arrived after the demised of Rasulullah SAW when Saidina Abu Bakr Al Siddiq RA declared war on the imposter. The Muslim army that confronted the forces of Musailamah included Habib's mother Nusaibah bint Ka’ab RA and his brother Abdullah ibn Zaid RA. "May Allah bless this household. May Allah have mercy on this household"